Forget headshots. 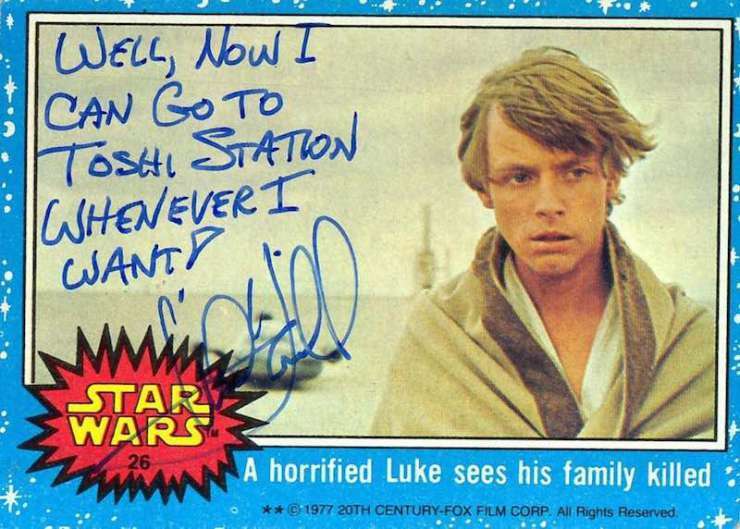 The real fun is getting vintage Star Wars Topps cards autographed because Mark Hamill gets wonderfully snarky in signing them. Autograph authenticator Steve Grad has a collection of 100s of Star Wars cards signed by the original cast, and he’s posted a gallery on FB, with more to come. But I think this one by Mark Hamill may be the best one of all.